For more than 15 years, North Korea has been ranked as the most dangerous place in the world for Christians. If they are found with a Bible, North Korean Christians face years of imprisonment in labor camps where they are tortured and beaten daily. Bibles are confiscated and destroyed, and most believers have never seen more than a page of God’s Word. A child may even be shown a Bible at school and asked if he has ever seen a book like it in his home. If he responds “yes,” police will quickly show up at his house to question his parents and ransack their home in search of a Bible. Despite the threat of imprisonment, torture, and even execution, North Korean Christians still desire to have a personal copy of God’s Word. They are desperate for the comfort of Scripture, especially in the middle of these unstable political times and increasing persecution. They long to see the Living Water of Jesus refresh their country that has become a Bible desert — a place without access to God’s Word. North Korea believers truly believe that Bibles are the only way to bring light into what is one of the darkest places on earth. World Help has partnered with a network of believers who are passionate about bringing the Bible to the people of North Korea. They are strategically positioned to help smuggle and distribute Bibles around the country, bringing hope to those in need. But their supply of Bibles is running low … they need your help! While most of our methods must remain secret, we work with local believers to send physical and digital copies of God’s Word into the country, flooding the darkness with the light of the Gospel. 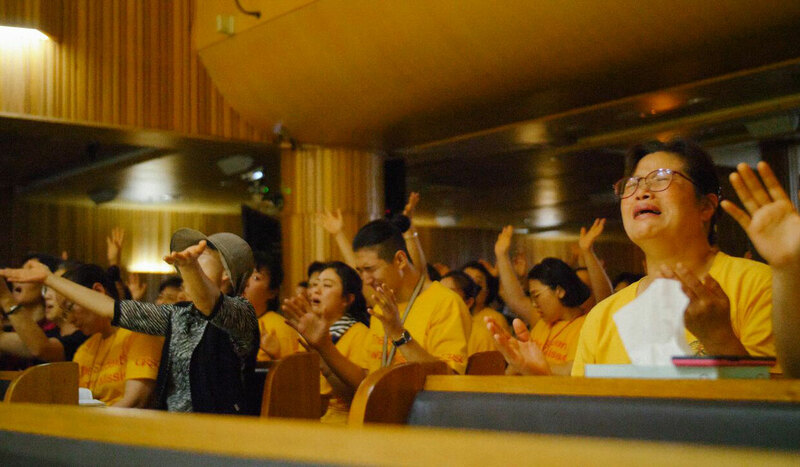 We cannot ignore the bruised, broken, and forgotten church of North Korea. For just $10, you can send a copy of God’s Word to a believer suffering for his faith. We have a goal to send 100,000 Bibles to North Korea as soon as possible. Will you help by sending a Bible today? • $500 provides 50 Bibles for persecuted Christians. Every time we speak to North Korean believers, they beg us to send more Bibles. We cannot send them quickly enough! Please give generously and help bring Living Water to this Bible desert.